The way we achieve this goal is to ensure we have outstanding professionals, each with a specific expertise in finance coupled with a high level of knowledge. The knowledge is honed every day through precise research and practice in wealth management. We provide our clients with customized advice and forward thinking portfolio design. The Century Group at Morgan Stanley assists clients in accomplishing their financial and investment goals. Our client-centric approach is the bedrock of a mutually successful and rewarding relationship. Fundamental to The Century Group’s business philosophy is the idea that the more knowledge and transparent understanding our clients have, the more likely they are to make well thought out investment decisions. The pursuit for knowledge and understanding is a continuous endeavor. With the strictest confidentiality, we conduct a structured process of interviews and research with our clients. The knowledge gained from this interaction forms the critical foundation of setting financial and business objectives, investment strategies and processes designed to directly target our client’s objectives. We provide continuous advice and asset management to our clients. Investment of client funds is based upon risk assessment, stated goals, objectives and timeframes. The Century Group develops strategies to preserve wealth, and provide appropriate investment growth and income. Comprehensive wealth management consists of holistic financial planning and integrated investment management. It is a complex process that involves conducting an extensive consultation of both business and personal financial goals. Once establishing these objectives we analyze the data and develop tactics and strategies to meet stated objectives. The next step is to implement the plan and monitor ongoing performance, making changes when necessary. We will work together using a process that focuses on you and your goals, integrating investment decisions with your immediate financial needs and desired aspirations. Before we can advise you, our team must understand you and your goals. We will guide you through an extensive discovery process to identify your objectives, time horizon, tolerance for risk and other considerations that may play a role in shaping your investment strategy. Your input drives the development of a personalized financial strategy. Designed to help you meet your specific needs, it addresses areas such as retirement, education expenses, estate planning and tax minimization potential. When our analysis is complete, we will present to you an investment strategy that helps to identify appropriate diversification for your portfolio. After we have discussed and refined your strategy, we work closely with you to bring the elements to life. Should we decide that outside money managers are appropriate for you, we will help you select from the hundreds of investment management firms available to you. If you prefer to invest in individual securities, we can help identify specific stocks, bonds and other securities that may be suitable for your portfolio. Whatever approach we decide on together, our team will help you keep your strategy on track. We view ongoing communication as the foundation of our successful collaboration with you. We will make every effort to keep abreast of your changing financial needs and provide viable strategies to help you meet them. This means reviewing your portfolio together at your request. When your circumstances change, we will work with you to revise your strategy and reposition your assets to reflect your new needs and goals. Michael Ladge joined Morgan Stanley and its prior firm in 2008 and is an Executive Director and Sports and Entertainment Director. Graduating from Syracuse University with a B.S. 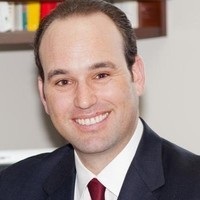 double majoring in Finance and Statistics and attaining an MBA from UCLA’s Anderson School, Mike began his career in finance at Credit Suisse, which acquired DLJ. Just prior to Morgan Stanley (then Morgan Stanley Smith Barney), Mike was an investment advisor at UBS. Named to Robb Report’s Worth Magazine’s Top 100 Wealth Advisors for four consecutive years, he is also named a Los Angeles Five Star Wealth Manager from 2012-2018.With years of experience managing a select client base from all walks of life including corporate executives, entrepreneurs, entertainers, and professional athletes, Mike is also a Registered Financial Advisor with the NFL Players Association and works extensively with sports icon, Jim Brown’s Amer-I-Can Foundation. For whatever it’s worth, Mr. Brown once called Mike a “tremendous athlete” after playing golf! 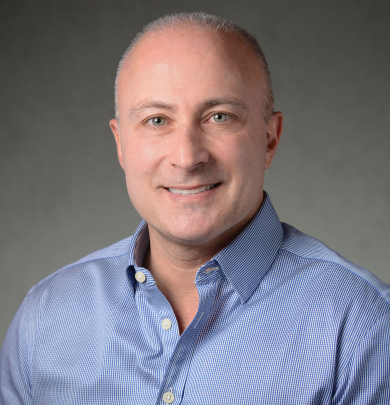 Having won several national and state championships, Mike lives up to the complement as an avid racquetball player.Originally from Boston, Mike resides in Bel Air, California. Hormoz Shon Saleh joined Morgan Stanley as a Senior Vice President in 2008. With over three decades of experience in the financial services industry, Shon has primarily been involved in using his in-depth knowledge of investing and financial planning to assist his high-net worth and institutional clients in meeting their objectives. Prior to joining Morgan Stanley, he worked at various financial services companies including Kidder Peabody and UBS Wealth Management. Shon received his Bachelor of Science (B.S.) degree from Brigham Young University, graduating as valedictorian of his class, and his PhD from Cornell University. He is a past president of The Technical Securities Analyst Association of San Francisco, and has guest lectured at the University of California, Berkeley, Golden State University, and UCLA.A patron of the performing arts, Shon has executive produced numerous albums and has financed the development of many musical theater projects. He currently resides in Los Angeles with his singer-songwriter wife, ZaZa. Joseph Sulentor is a Second Vice President and financial advisor with the Century Group at Morgan Stanley Wealth Management. In 2002, Joe began his career in finance at UBS Financial Services in Los Angeles. Soon after, he joined the UBS Municipal Bond trading and marketing desk. As an Associate Director, Joe developed an expertise in bond portfolio management with a focus on trade strategies, portfolio structure, and implementation. This background enables Joe to create customized investment strategies and advise high-net-worth individuals and institutional clients with a multi-faceted prospective in wealth management. In addition, Joe frequently delivers presentations regarding markets, economics, and fixed income strategies. In 2004, Joe earned his MBA in Financial Strategy from Hilton School of Business at Loyola Marymount University. He also earned a Bachelor of Business Administration degree in marketing from LMU. After competing collegiately, Joe played professional baseball with the Minnesota Twins baseball club. Joe has been with Morgan Stanley Wealth Management and its prior firm since 2008. 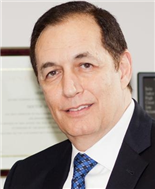 Beginning in 2012, he has been named for four consecutive years as a Los Angeles Five Star Wealth Manager conducted by Los Angeles magazine and Five Star Professional. Joe currently resides in Rancho Palos Verdes, California with his wife Sarah, daughter Ava and son James. Brandon Allen joined Morgan Stanley in 2008 and is a Portfolio Manager and Financial Advisor for the Century Group. In 2007, Brandon started his career at UBS Wealth Management. He earned his bachelor’s degree in economics from the University of Colorado at Boulder. Brandon was born and raised in Beverly Hills, CA and works with a diverse set of clients from a broad range of industries, such as technology, real estate, professional sports, entertainment, and a vast array of startup companies.Bandon’s specialty, the Portfolio Management Group is one of the leading discretionary money management platforms in the industry. Brandon’s expanding knowledge of the markets and the economy allow him to apply a diverse set of skills to portfolio management and asset allocation. 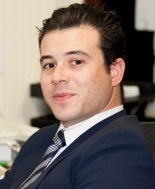 Brandon is a specialist in portfolio management and security selection, portfolio construction, and implementation. In addition, he focuses on Exchange Traded Securities (ETFs), their structure, trading characteristics, hedging strategies, fund flows, and new products. Peter Wolf has a long and distinguished career in the securities industry. He is a Senior Vice President and his specialty is managing high-net-worth clients on long-term strategies. He is skilled at working with both tax-free and taxable securities and employs specialized portfolio managers for equity and ETF portfolios. Wolf is known for his successful and conservative approach in asset allocation. Wolf earned a B.A. in Business and an M.A. in Economics from the University of Miami. In addition to his role as a financial advisor, he was the resident manager in Miami and Nassau, Bahamas for Hayden Stone and E.F. Hutton and Company. He served on various significant boards of directors including chairman of the board of American Bankers Assurance Co. He moved to Los Angeles and joined UBS as a Senior Vice President. Wolf’s philanthropic involvements include contributions as a long-time trustee of Barry University in Miami. 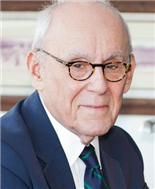 He was very involved in building the financial resources of the University.Married to Jeanne Wolf, a respected TV interviewer, he has supported her work as a trustee of Loyola University in New Orleans and the Eastman School of Music. 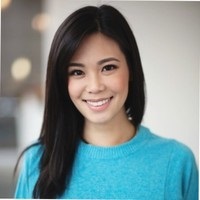 Melody Yeung is currently a Registered Associate managing team operations, acting as a liaison between various departments in the firm, and providing client service with the Century Group. She joined Morgan Stanley in 2016 as a Wealth Advisor Associate specializing in budgeting, cash flow, and retirement planning before joining the Century Group at the end of 2017. Born and raised in San Marino, California, Melody spent her early adult years in the music industry as a songwriter and recording artist in Taiwan. After releasing a few group albums and two solo projects under Warner Music and Virgin EMI, Melody took a break from music to complete her college education at Columbia University in the City of New York double majoring in Economics and Visual Arts and receiving her bachelors degree in 2016. Having first-hand experience of living with sudden and unpredictable earnings with little knowledge on how to manage the money in her entertainment years, Melody became very interested in finance and investment strategies and the power of saving while studying in college. Upon graduating, she decided to retire from music and stay in America permanently to embark on a new career one that helps clients attain and manage their lifes spending and savings goals. Melody currently resides in Los Angeles with her two pet Malteses. She spends a lot of her time painting and artmaking, performing in some shows every now and then, and cooking for friends and family at home. Ready to start a conversation? Contact The Century Group today.